I use spiritual guides to give the answer to your questions. 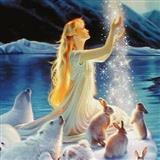 I use the combinations of tarot ,runes, crystal and direct messages from spirits guides to get the most best readings. As i am spiritual advisor who gives caring reading on love, romance, and relationships. Reveals what is going on with the love of your life, where you're headed and what you can do about it. Discover the love awaiting for you and get clear answers. I am a true born 3rd generation gifted psychic who has helped, guided, and directed thousands of people around the world I use spiritual guides to give the answer to your questions. I use the combinations of tarot, runes, crystal and direct messages from spirits guides to get the most best readings. I am professional psychic with over 21 years of experience. I started helping people with their issues from the age of 14 and with the time my god gifted ability also grew. I have guided countless minds in my life and I am a fast typist and respect my client's time and offer direct answers and brief clarity with strong connection. I use spell casting, occult, crystal ball and tarot and connect directly with energies through the help of my spirit guides. Born with super natural Psychic Abilities, B.A. Metaphysics ad as well as 5 years experience in kabbalah.